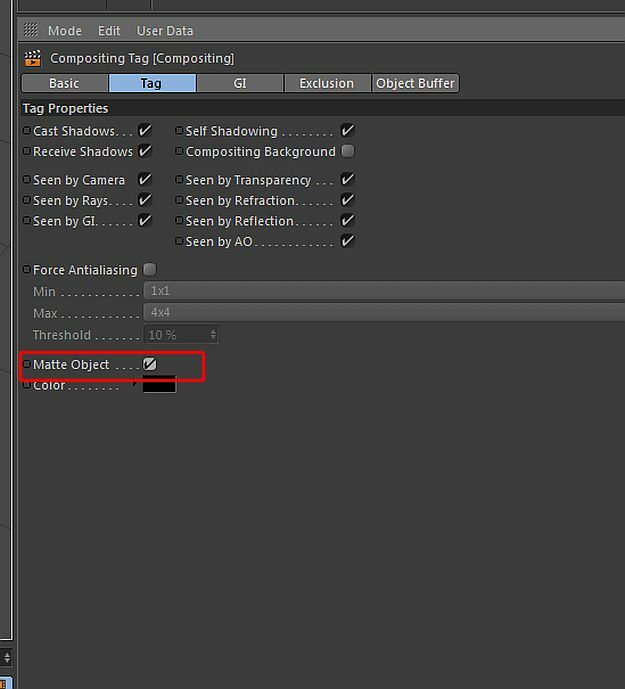 You are rendering your scene but you don’t want to see background of it. 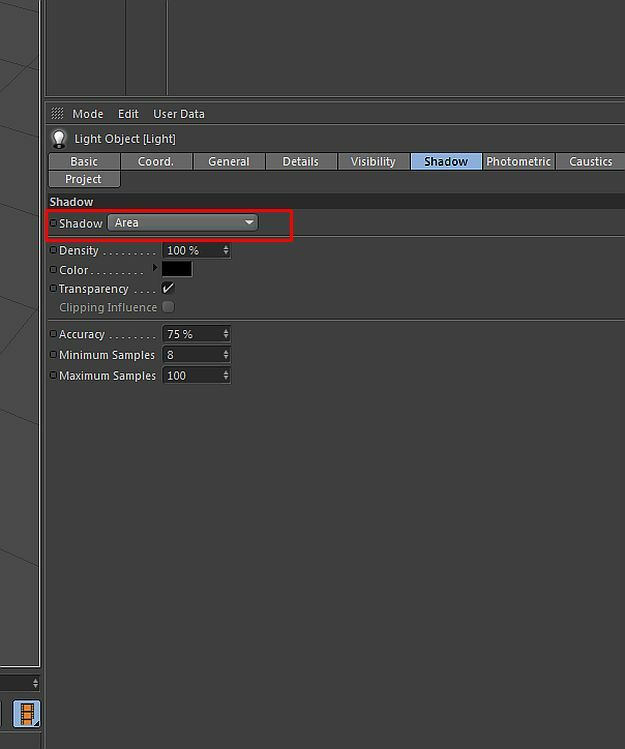 You want to see only your object and its shadow so you need its matte/shadow pass. 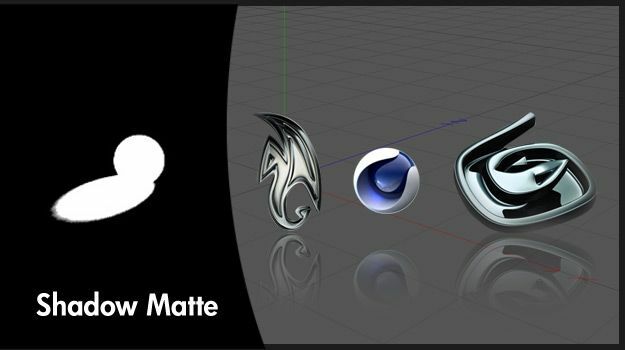 In this tutorial, I am going to show you how to render this matte/shadow pass in 3 most popular 3d software; 3d studio max, Maya and Cinema 4d. 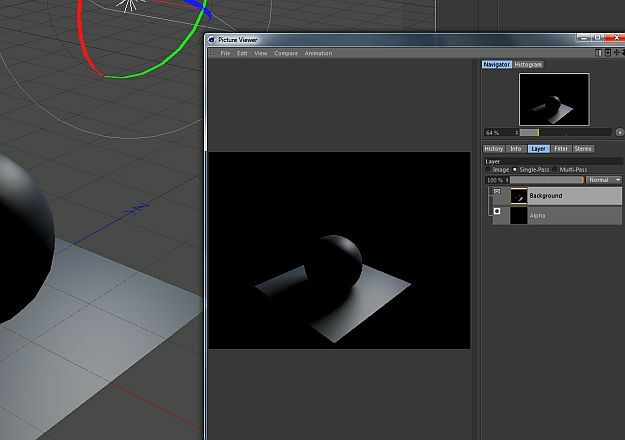 Create a sphere and a floor plane and a point light. 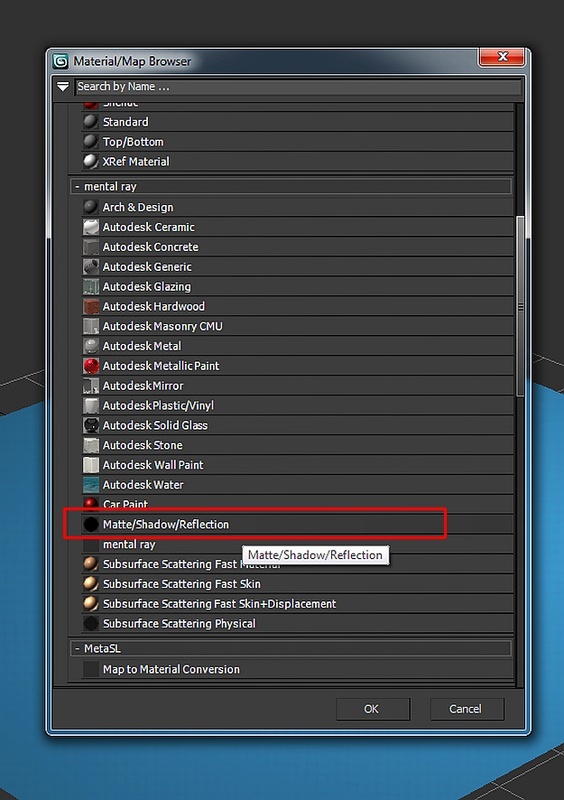 Select floor and apply [Matte/Shadow/Reflection] from Material Editor. 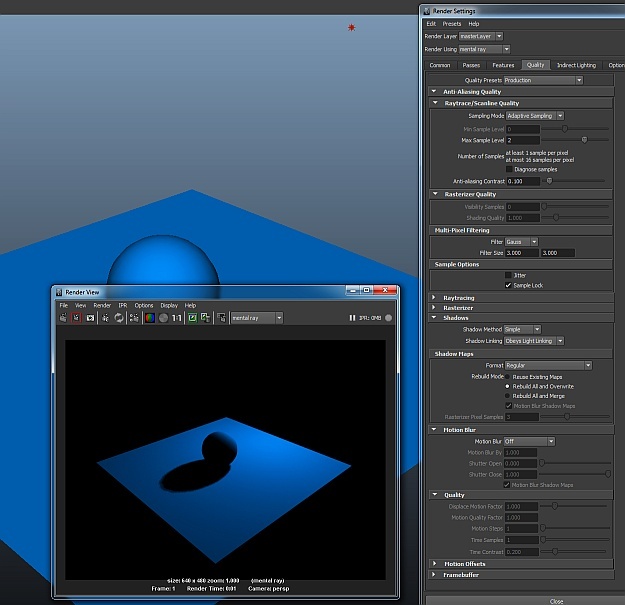 When you render it, you will see that the floor will be invisible and only your object’s shadow is visible. 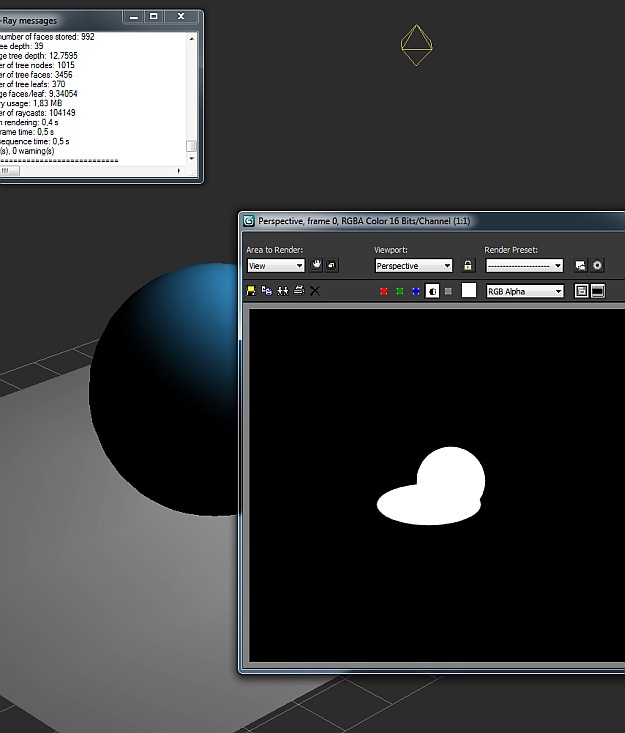 You can check it from alpha button on render window. 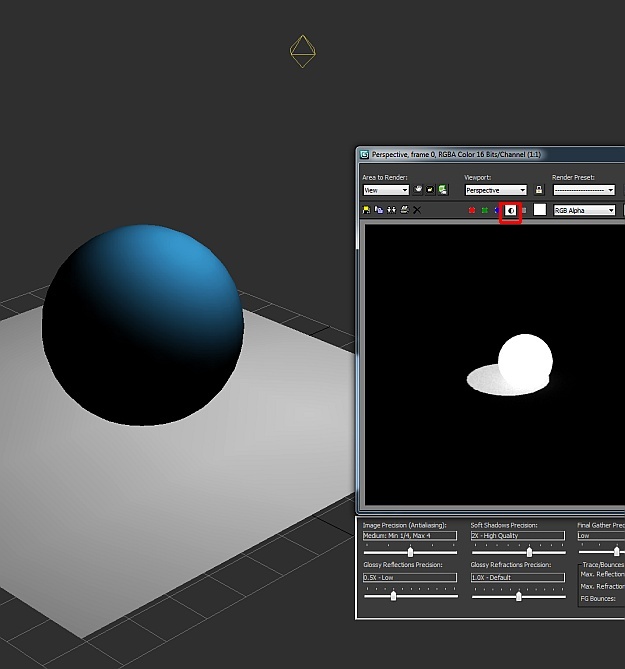 Create a sphere, a plane (for floor) and a point light. 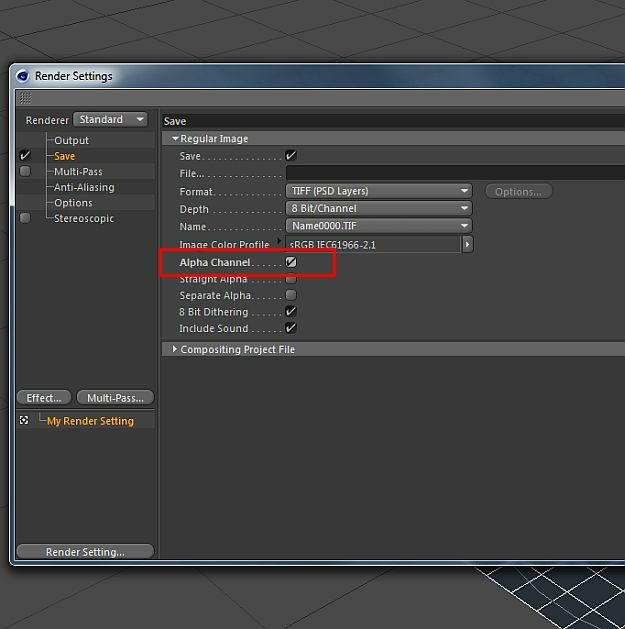 Open material editor and apply [VrayMtllWrapper] to plane. 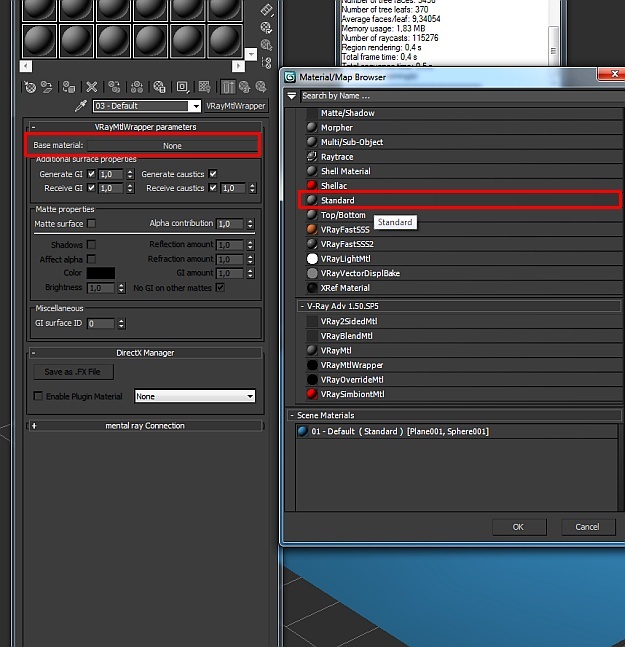 In [VrayMtlWapper] settings, click base material and select Standard. 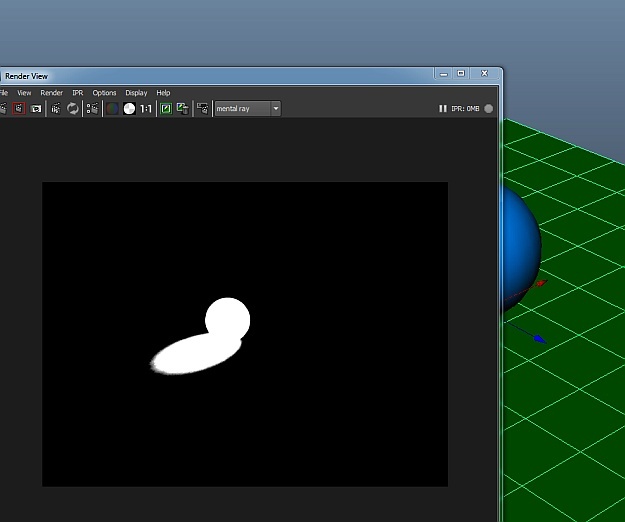 Now when you render, you will see plane is invisible but object’s shadow is visible. 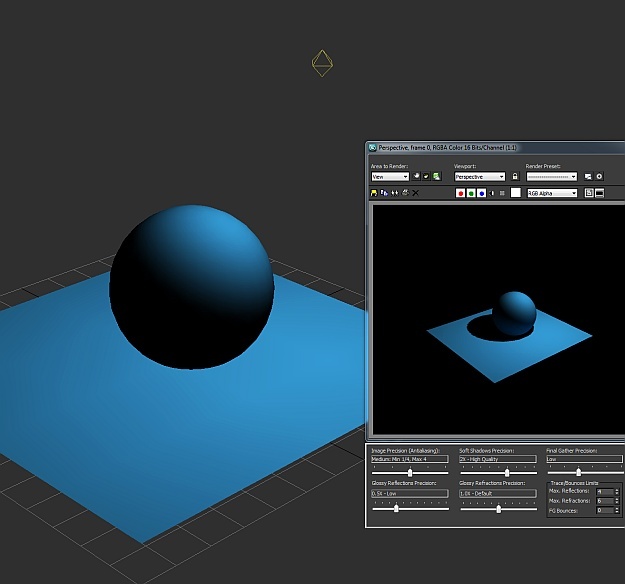 Open Hypershade and add a Use Background material. Apply this material to plane. 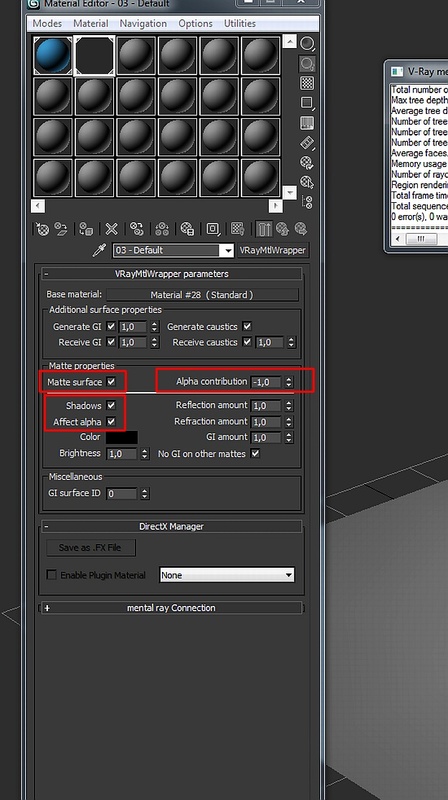 Change material’s specular color to pure black. 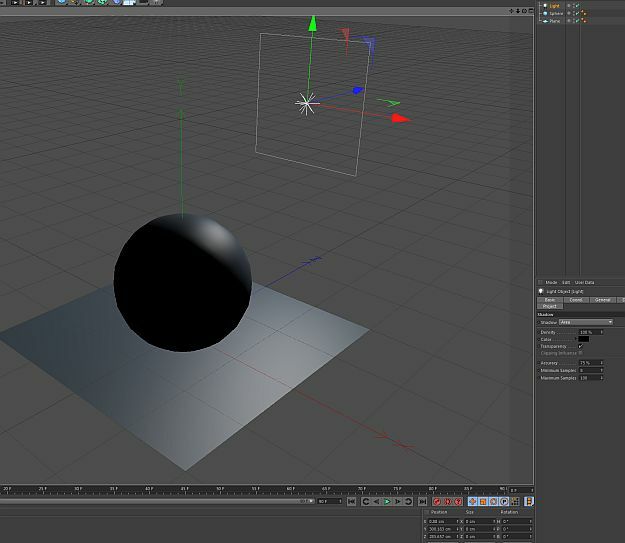 In Cinema 4D, matte shadow technique is a bit diffrent from the others. Their solution is by multi-pass, not materials as usual. 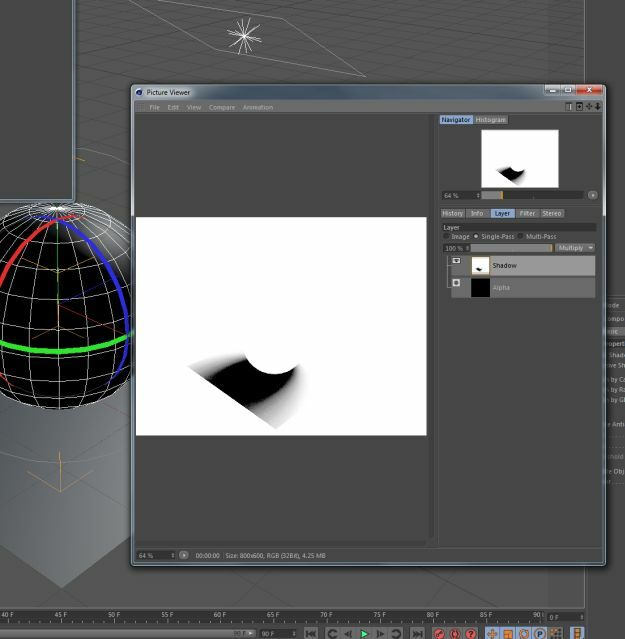 For test scene, create a plane, a sphere and a light. 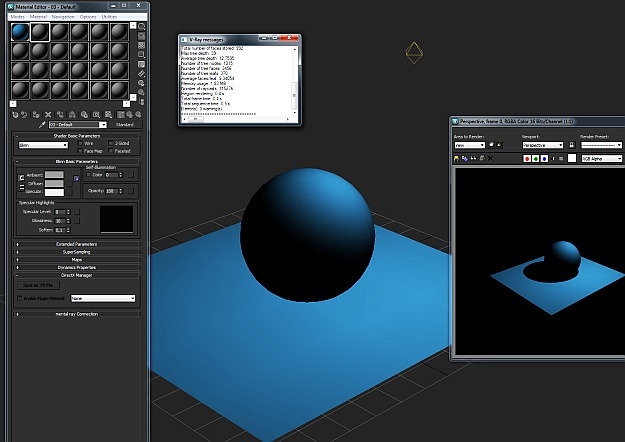 From light settings, set Area as its shadow setting. 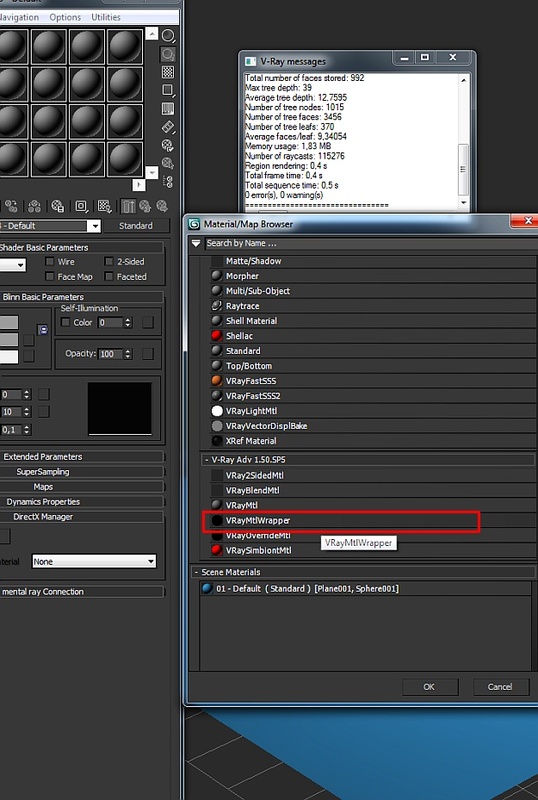 Select Sphere and right click, add Compositing tag from Cinema 4D Tags menu. When you check its alpha channel, you can see you have shadow pass. 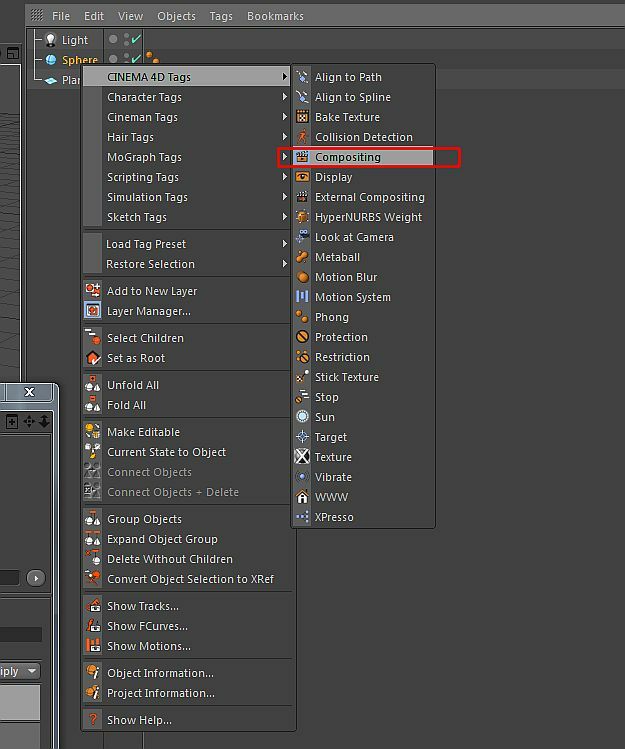 Previous How to model wire mesh in Cinema 4D? Thanks for informations.They are very usefull. 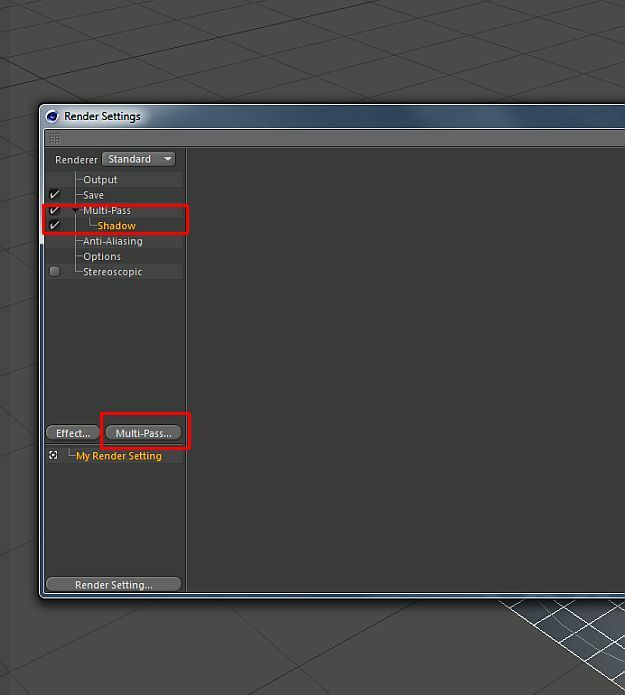 Again, I am not saying this is a unhealthy tutorial.